How Well Do You Know Bible Prophecy? If you're interested in the topic of Bible Prophecy and want to test your biblical knowledge, this is the quiz for you. How many completely distinct prophecies were given for Jesus’s first coming? How many theological categories does Bible prophecy intersect with? True or False: The Bible is the only religious work that contains fulfilled prophecy. True or False: Jesus’s second-longest recorded teaching in the Gospels was about the end times. The very first prophecy about Jesus is found in which book of the Bible? The ApprenticeNice try, you’re on the right track! But it looks like your Bible prophecy knowledge could use a little sharpening. 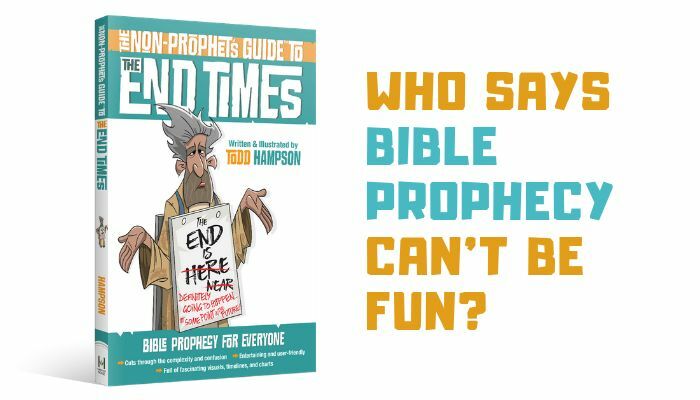 The Non-Prophet’s Guide to the End Times is the perfect place to start. The Journeyman Well done, you’re a real Journeyman! With a little work you could really wow your friends with your Bible prophecy knowledge. Start by reading The Non-Prophet’s Guide to the End Times. The Scholar Excellent work! It’s clear you are a true Bible prophecyScholar. Stay updated on the newest Bible prophecy material by reading The Non-Prophet’s Guide to the End Times.